World Soccer: Bosnia are top of their group, still unbeaten and are probably the biggest surprise in Europe’s World Cup qualifiers. Many people think you are already in Brazil. Do you? 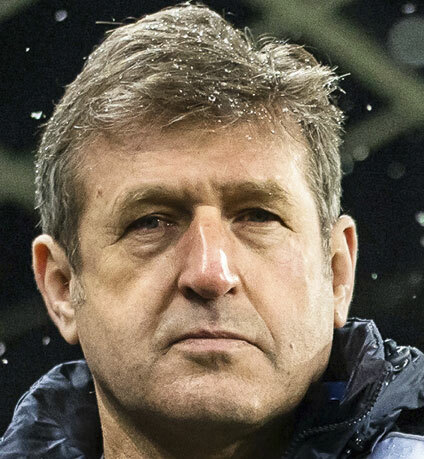 Safet Susic: Do I believe? Yes. Are we done with our work? No, not even close. I believed in winning this group from the day the campaign began because of our quality and talent. But it is far away from job done. It is actually quite simple. I am convinced Greece will win 12 points from four matches, so we must win at least nine points to be the first in the group. Crucial matches against Slovakia are on their way and we must stay focused. It’s nice that people think that we are good enough to play at the World Cup, but we’ll think about that after we win nine more points. What do you see as the key to your team’s success in the qualifiers so far? Quality. We have a great generation of players that have been together for some time now and everything has clicked. The other very important thing is the support of our fans. It is unbelievable that thousands of supporters follow us all over the world. Most of our matches we play in front of a majority of our fans – like in Riga, in June, when we had more than 5,000 supporters in an 8,000-capacity stadium. That is just fantastic and it is huge motivation for all of us. We want to bring a joy to the people. You have scored 23 goals in six qualifiers, which is more than anyone else in Europe. Is that what we can expect from Bosnia in the future – an attacking and attractive side? I do not have any choice [laughs]! Look at my team. We have two top strikers in Dzeko and Ibisevic, a couple of very creative but also attack-minded midfielders like Misimovic or Pjanic, then Lulic, Salihovic, Mujdza. We have to play like we do now. It may sound tactically immature, I am fully aware of that, but I just think that it would be wrong to play differently. We know that we expose ourselves too much and that there is a huge risk in a way we play – using one defensive midfielder and opening up huge space for an opponent – but it would be unfair to the fans, to the game and to us if we were to suppress such a talent and such a skill. We know that it can cost us, but that is the price we are willing to pay. In the end, we play to score more goals than the opposition – and it has paid off so far. Critics say that your group – with Greece, Slovakia, Lithuania, Latvia and Liechtenstein – is the weakest in Europe and therefore the qualifiers are not the true face of your capabilities. What do you think? It is true that we had some luck in the draw, avoiding Germany, Holland and Spain. But is there really someone out there who believes that Greece or Slovakia are easy to beat? Or any other team in Europe? I don’t think a lot would change if we were in some other group. We have quality and that is our strongest weapon. We’ve played France, Germany, Brazil and Portugal in the last two years and shown that we are in the same league. Two years ago the national team was on the verge of suspension after a series of issues within the football federation. Some of the officials ended up in jail for corruption and the federation had to appoint a new leadership. Are the dark days behind you now? We did have big problems and they affected the national team as much as the league. In the last two years people, led by Ivica Osim, brought big changes and now we have a new [federation] president, Elvedin Begic, and things are going in the right direction. Of course, nothing can be done over night, but I think we have made a huge step forward in the last two years and we are all proud of that. The state of domestic football in Bosnia is still poor. Would qualifying for the World Cup change things? It would certainly help. The country is torn apart by political and economic problems, and it is logical that it reflects on our football, but I think that playing in Brazil would help in both directions. Even now this team brings people together. A few years ago you couldn’t imagine Bosnian Serbs or Croats supporting the team, but that has changed now. When it comes to the league the crucial thing is money, and if we get to the World Cup the FA will have more money to distribute to the clubs. We would invest that money in infrastructure, organisation, stadiums, academies and that would improve the league. With a quarter of the population fleeing during the war, there are around a million Bosnians spread around the world. Ibisevic, Pjanic, Salihovic, Begovic and many others grew up and started their careers in other countries, but opted to represent Bosnia. What do you think about players “changing” nationality? Most people did not voluntarily leave the country; it was the result of a terrible war. Now we are forced to chase players with Bosnian roots to play for our team. It is very complicated and I understand when other countries are angry, but we don’t have a choice. We are a small nation and can’t afford to lose players like Zlatan Ibrahimovic [to Sweden]. The problem will come in 10 years from now, with third or fourth generation Bosnians who are living abroad. It will be hard to pursue them to play for the country of their grandfathers. That is one more reason why we need to reach this World Cup and other major tournaments, because kids will identify with the country. As a former Paris Saint-Germain player, how do you feel about all the changes over the last three years? What the new owners did brilliantly was the branding of the club. Nowadays, when you mention PSG, people in every corner of the world know about them. It was not like that when I used to play. Now they are on a good path to establish PSG as one of the best clubs in Europe.